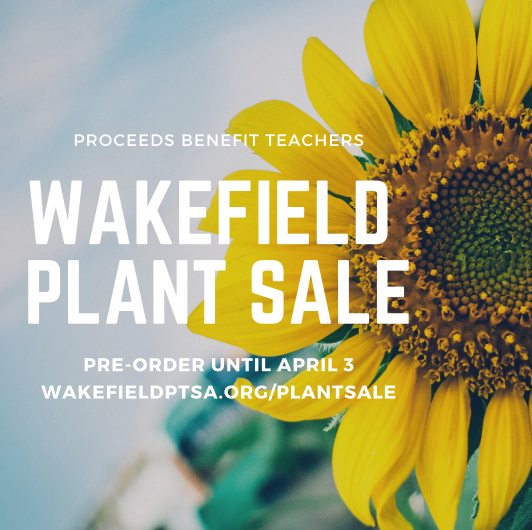 Support our Wakefield Teachers and Community by purchasing plants at the Wakefield PTSA’s only fundraiser of the year — the Wakefield Plant Sale! The funds raised, allow teachers to conduct home visits, purchase necessary equipment, materials and more. Most plants are under $5. Pre-order your plants today at www.wakefieldptsa.org/plantsale and pick up on April 27th at the plant sale.